Thank you First Alert for sponsoring this post. Don’t let the beep steal your sleep. If you’ve read this blog for any amount of time, you know that we’ve made many updates to our early-1970’s-era home. 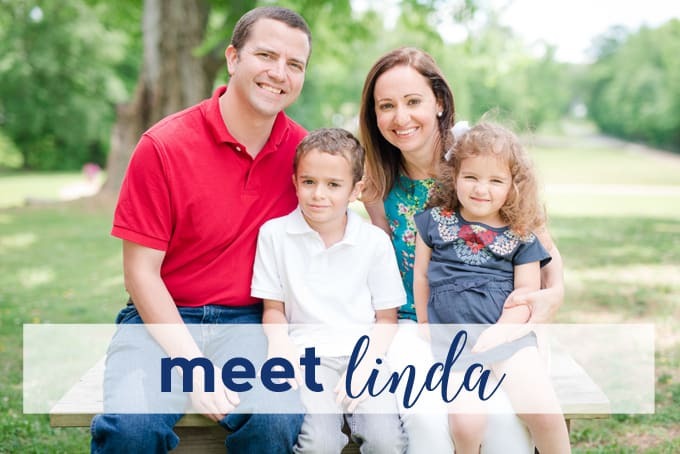 Today, I’m sharing one of our favorites! 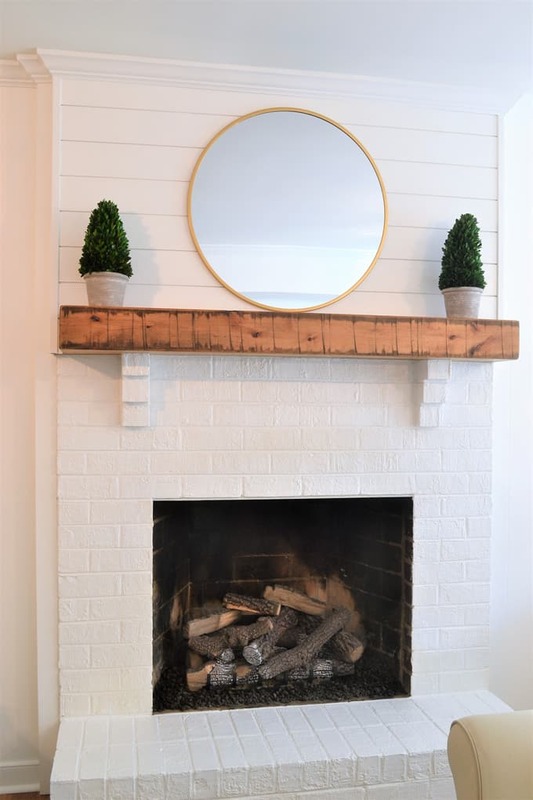 We recently converted our wood burning fireplace to gas, and did a little makeover of our fireplace that I am so excited to share with you! 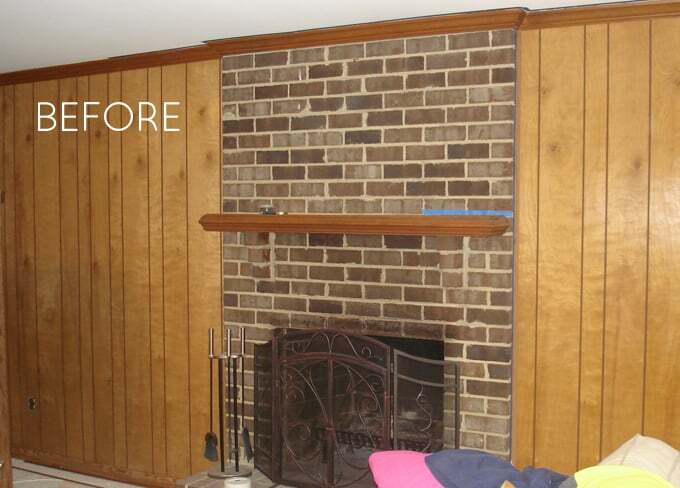 We quickly painted the wood paneling, and then, a few years later painted the fireplace white. Just this summer, though, we decided it was time for an even bigger change. We had a local company insert gas logs so we could enjoy our fireplace without the inconvenience of a real fire. We were SO excited to finally get this done, but we knew that there were some safety concerns with a gas fireplace that we needed to address. Especially when it comes to Carbon Monoxide (CO). Carbon Monoxide is an invisible, odorless and deadly gas that can be produced by any fuel-burning device. CO can be produced by any fuel-burning device, such as a furnace, boiler, stove, or cars. CO alarms detect this poisonous gas and provide early warning. 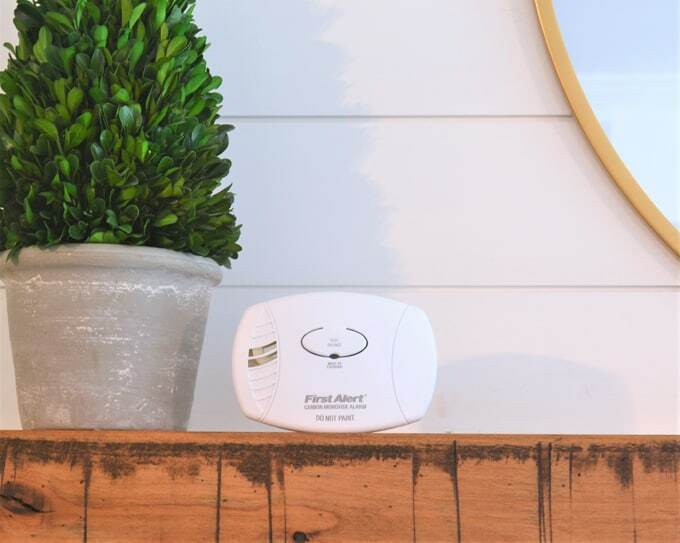 Before using our new fireplace, we made sure to install First Alert alarms so that our family would stay safe. 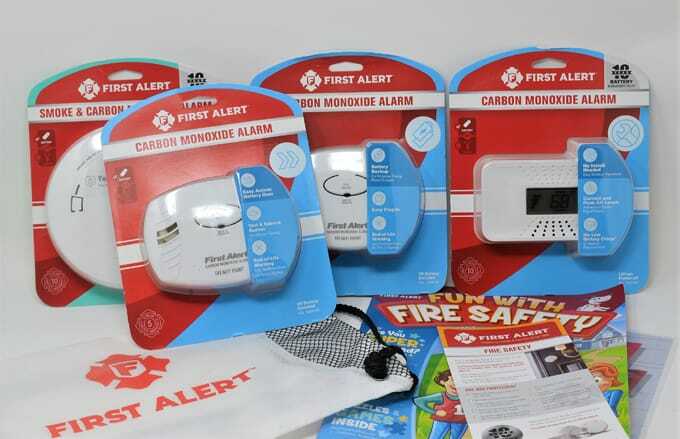 First Alert has a variety of CO alarms that fit your family’s needs! 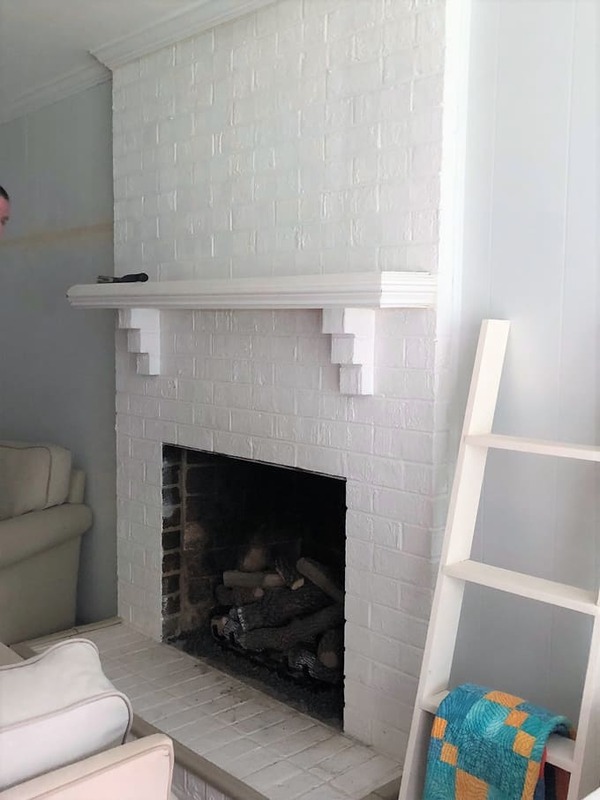 I want to share more about the importance of CO safety, but first, I want to share a little more about our fireplace makeover. 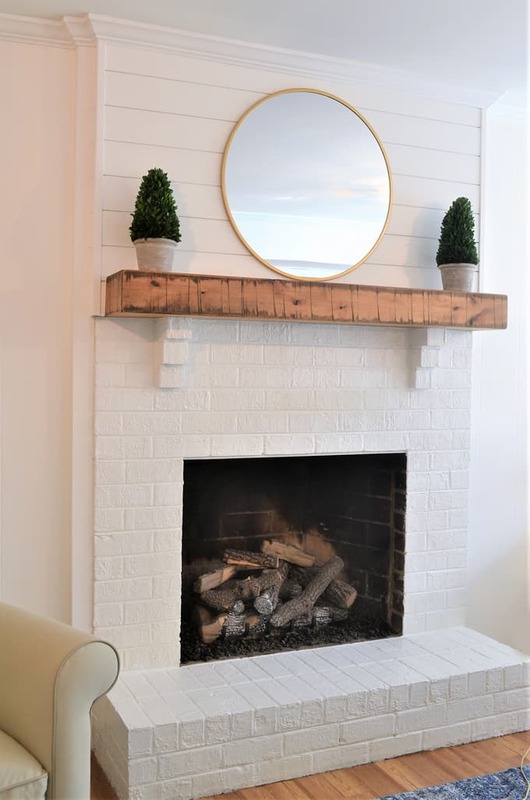 In addition to installing gas logs, we wanted to add shiplap to the upper half of the the fireplace, as well as replace the mantle. 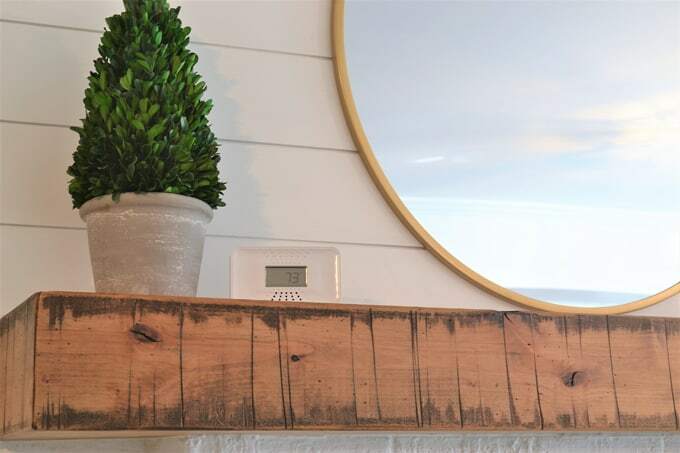 My husband installed the shiplap (this took about a day), and we found a rustic, wood mantle that we loved from Wayfair. This was one of those weekend DIYs that truly only took a weekend. We added a mirror (from Target) and a couple of faux topiary plants (find something similiar-and cheaper-here) that I love. Additionally, many states (including Virginia) adopted new building codes that took effect in 2011. 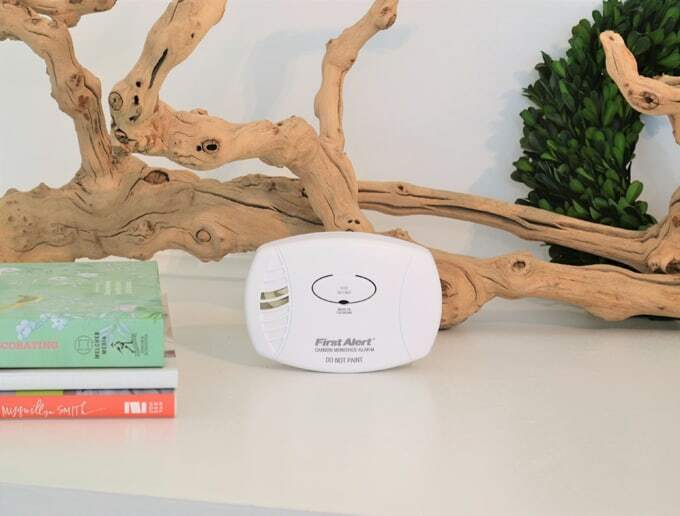 In most of these cases, this means that homes that feature carbon monoxide alarms that have a useful life of seven years will need to replace their CO detectors. You can read more about First Alert alarms, and the legislation, here. I adore our new fireplace makeover, and can sleep easy at night knowing that First Alert is keeping me and my family safe! 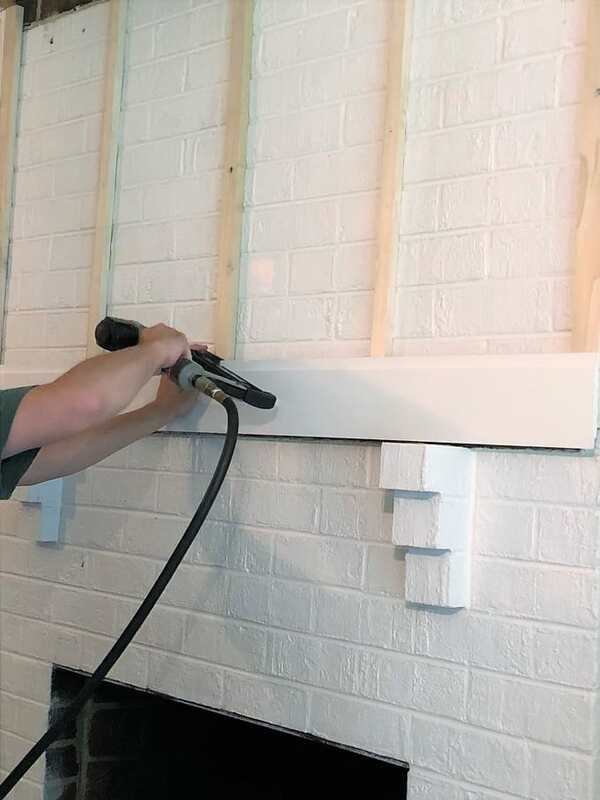 Thanks for reading all about our Fireplace Makeover + CO Safety Tips with First Alert! Have a lovely day. Looks so much brighter and updated. Well done. I love the mix of materials on the fireplace update. I was not able to get the CO video to function. Hello! It’s actually just trim paint. Bright white. This particular brand is valspar from Lowe’s. Geeeeze…so many ads, I find it hard to follow the project. Wowza! Like minds! I did something similar in my VA home. Our basic rooms look alike.